This 25+/- Acre property is in the middle of the best of Tensas Parish hunting and freshwater fishing. This is definitely a mixed use residential, recreational, timberland property near Saint Joseph, LA 71366. The property is the crossroads between the Glade Woods on Tensas River and the thousands of acres of prime private hunting land that goes all the way up and joins the 9,000 acre Buckhorn WMA less than ten miles north. The whitetail deer hunting is great on both sides of Big Choctaw Bayou, a great deer corridor. Big Choctaw Bayou at this point has big flooded flats on each side of the channel providing great waterfowl hunting for ducks and geese. It's also perfect for turkey, rabbit, squirrel and other small game hunting. It is in the great Tensas River flyway. There is freshwater fishing in Big Choctaw and unlimited fresh water fishing in the Tensas River. An excellent public boat ramp is only 1 mile away. 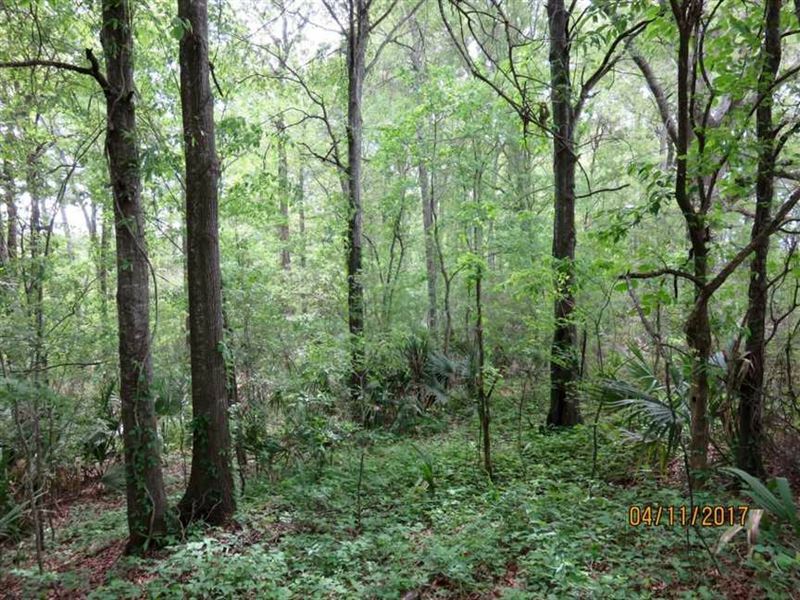 This property has.4 of a mile road frontage on Hwy 573 and is heavily wooded down to the bayou offering a super campsite. Sales price is to be on the basis of per surveyed acres. Survey to be paid for by buyer. There is an old homesite on the property which would make a great camping spot with duck hunting out the back door. Electricity and water is Call .